I would like to give a brief snap shot of my life and introduce myself. My name is Richard Handel and I was born in 1965 in Suffolk (this is a county on the East coast of the UK). I worked as UK Operation & Intermodule Manager for a shipping company for 23 years. I now dedicate my time to fishing and looking after my 2 young children (both girls), after my wife and I switched roles (she now works full time). I live in Hampshire (which is on the South coast of the UK) and mainly fish in this county. Over recent years, I have started river fishing again on the Hampshire Avon. This is a nice break from the carp lakes. My life has turned a big corner in May 2015, the company I was working for, relocated their Operation center to Estonia. I was offered a job at the head office in London. This would have meant commuting 5 days a week and working in the East end of London. As a family, we didn’t fancy this. I would hardly spend any time with the children (and the wife). So after 23 years, I was given a nice redundancy package and my wife was able to increase her hours to working full time. I became a house husband. This has meant a complete turn around in my fishing. I can now pick and choose when I go (within school collection times). I have found a splendid new syndicate to fish this year. It includes 5 lakes and some 8 miles of river with only 150 members. It’s an amazing change to the way I am able to fish. I now have a small Gardening Business and have started my own small tackle business. Selling good quality tackle products at great prices, with no frills packaging to keep the cost down. This is passed on to my customers and has a link to many other bargains. I have become a Consultant for Spotted Fin, Evolution Carp Tackle, Finygo Fishing App. 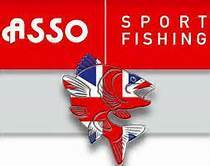 I am part of the promotional teams for the following companies as well Asso Fishing Line, Deeper, Monster Leads and Fishspy. Which for me has been an amazing journey and great are companies to be working for. If you like my Blogs, please subscribe to RichardHandel.com and follow me on all social media apps. Thanks for dropping by my writing website and appreciating Winter of the Best Snow. Not a fisherman myself in the States. I pier fished off the coast of NC one day, and an old angler gave me one of his catch, which I proudly took home. Damian, thank you, its nice to get some feedback from my readers. I am trying to portrait the life of an ever day fisherman, including the highs & low’s of fishing.